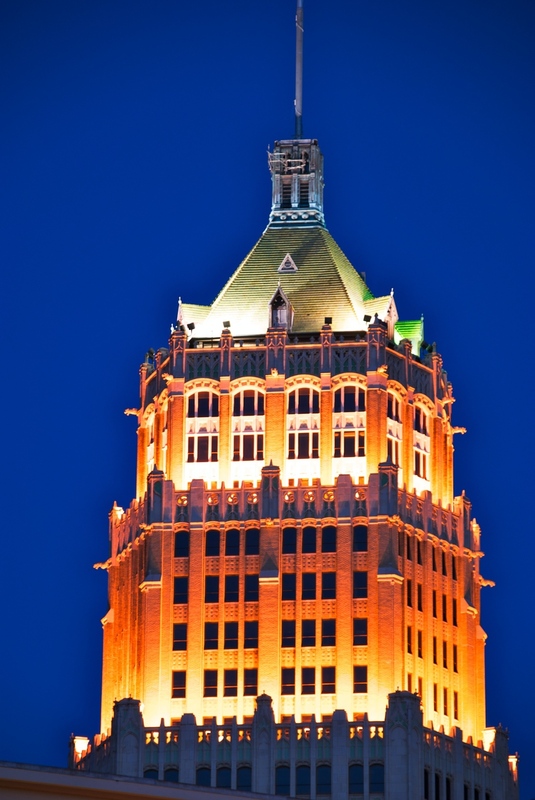 The Tower Life Building is one of the more recognizable landmarks in the San Antonio skyline. It stands up pretty tall and has these nice lights giving it a warm glow at night. I caught this single image last weekend while I was cruising around down there looking for shots. I've always liked architecture so I am always checking out buildings through the lens to see how they look. Though I still love HDR, I am experimenting quite a bit with other types of shots, like macros, bokeh and "plain old" single exposures. It keeps it fresh for me and mixing it up is always fun.